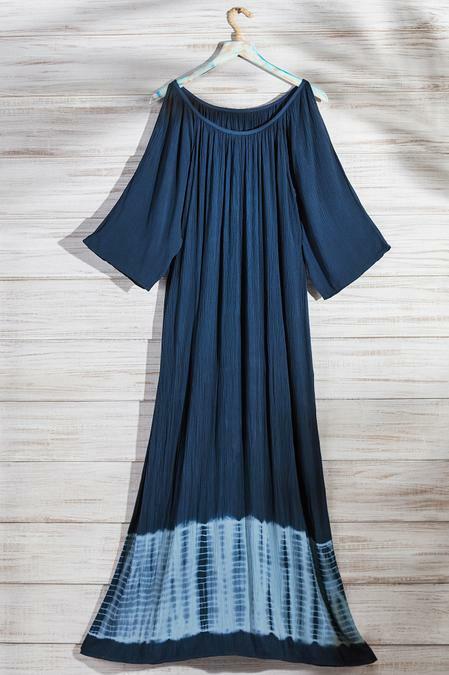 Bohemian chic at its summery best, the crinkled gauze maxi-dress is tie-dyed by hand in rich washed indigo with a contrast border. Loose and laid-back as can be, with a gathered scoop neck, peekaboo shoulder openings, raglan 3/4 sleeves and an ankle-grazing hem. Rayon. Misses 54" long.